The Gazprom Board of Directors has commended the efforts of the Company to implement its major investment projects. Gazprom continues to pursue the extensive Eastern Gas Program and to build facilities associated with supplying gas to domestic consumers and to China. In particular, 127 producing gas wells were drilled at the Chayandinskoye field, the linchpin of the Yakutia gas production centre. Also underway is the installation of the gas field’s core process equipment. A total of 2064 km of pipes are already welded and laid for the Power of Siberia gas pipeline between Yakutia and the Russian-Chinese border. This translates into 95.5% of the pipeline length. Power of Siberia’s two-string submerged crossing under the Amur River is 90% complete, with pipe pulling finished in both tunnels. The Atamanskaya compressor station is being built near the border. Construction of top-priority facilities for the first start-up complex of the Amur Gas Processing Plant (GPP), a key link in the gas supplies chain via Power of Siberia, is running at full speed. The 2018 navigation plan is completed, with 58 units of heavy and large equipment delivered to the construction site by sea and river transport. Before the end of this year, Gazprom also intends to launch the project for the expansion of the Sakhalin- Khabarovsk-Vladivostok gas pipeline within the section from Komsomolsk-on-Amur to Khabarovsk. Design documentation is fully ready. In the west of the country, the Company actively pursues strategic projects aimed at enhancing Russia’s Unified Gas Supply System (UGSS). A third and final gas production facility of the Bovanenkovskoye field is coming onstream in the Yamal Peninsula, where the domestic industry’s key gas production center is based. The Company is performing start-up operations for the core process equipment, with commissioning scheduled to take place in 2018. In addition, it was decided to start the full-scale pre-development of Kharasaveyskoye, another large field in Yamal, in 2019. Simultaneously with the ramping up of production capacities, Gazprom makes efforts to expand the northern gas transmission corridor. 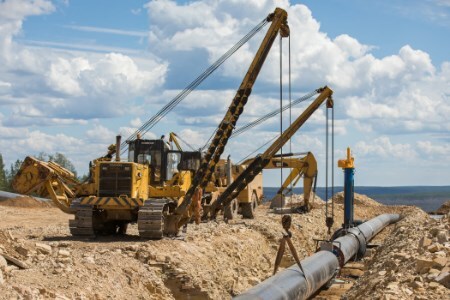 A 970 km linear part of the Ukhta-Torzhok 2 gas pipeline will be completed this year. In order to increase the throughput of the operating Bovanenkovo-Ukhta 2 gas pipeline, start-up operations are being carried out at four compressor shops with a total capacity of 371 MW. The project for the UGSS extension in northwestern Russia is going forward. New high-tech gas pipelines in the northern gas transmission corridor will make it possible to deliver additional amounts of gas to Russian and foreign consumers. The Nord Stream 2 gas pipeline construction project is running on schedule, with offshore pipelaying underway in the exclusive economic zone of Finland and in German territorial waters. Construction of the TurkStream gas pipeline is in full swing. Currently, 1775 km of the two strings are ready, which translates into 95% of the overall length of TurkStream’s offshore section. The landfall near the Russian town of Anapa is completed and the ongoing start-up operations will be finished in 2018. In addition, a receiving terminal is being constructed near the Turkish settlement of Kiyikoy. Both gas pipelines will come into operation before the end of 2019. Within the framework of developing Company-owned natural gas liquefaction capacities, Gazprom continues to build a liquefied natural gas (LNG) production, storage and shipment complex near the Portovaya compressor station. Specifically, a gas pipeline branch is already completed, and work is in progress on the core process facilities of the complex, the onshore LNG storage tank, and the offshore shipment terminal. The Management Committee was instructed to continue the efforts aimed at implementing the major investment projects.